Working from a photo or sketch? Keep it at eye level with this handy accessory. The picture clip attaches easily to canvas stretcher bar — simply tighten the knob. 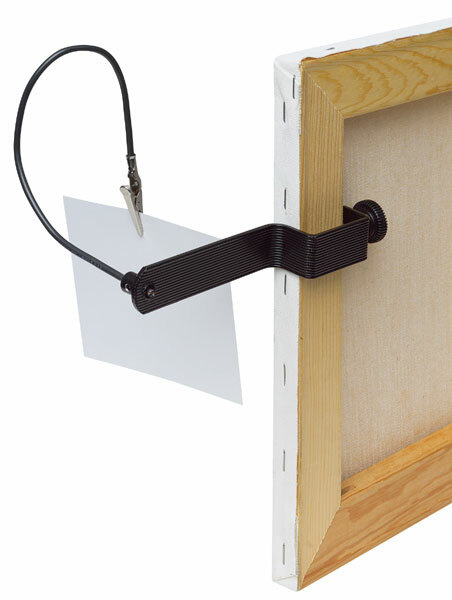 Your reference material clips securely on the end of the flexible wire. Adjust to optimum position. The clip has a durable, black powder coat finish.